PS1024S Smart Switches fill the gap between non-network management switches and full network management switches. PS1024S Smart Switch Series is specifically designed for the growing SMEs. It conducts a comprehensive monitoring on the network, but not so expensive and complex as full Layer 2/3 network management switch. PS1024S, as PoE Smart Switch, transfers power and data on all 24 ports by the IEEE 802.3af agreement. In addition, PS1024S also provides visual web-based management tool, which can simply and fast expand the configuration, and make the wireless access points, VoIP phones and IP-based surveillance cameras work in an ideal state. The switch has many advanced features, such as access control list (ACL), 802.1x port authentication, enhanced QoS, port rate limiting and IGMP snooping. Also it continues to promote the growth of small and medium-sized enterprise networks and ensures the scalability and reliability. twenty-four 10/100Mbps ports, two 10/100/1000Mbps electrical interfaces and the combination of the two optional fiber Gigabit ports (copper/Small Form Factor Pluggable (SFP) slots), enabling the growing businesses, classrooms and the working groups to benefit from superior performance and keep up with the demand for network expansion. The series of high-performance switch is a wire-speed non-blocking system, 12.8Gbps switching capacity ensures the maximum data throughput. All 28 RJ-45 ports are auto-negotiated to the highest rate and support Auto Uplink ? technology, ensuring the proper connection. The maximum output power of 390W enable users to connect up to 24 Ethernet or Fast Ethernet devices and up to 24 IP-based 802.3af devices power supply. 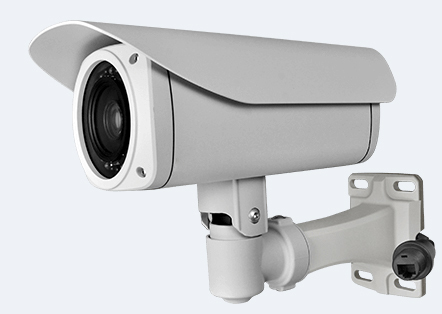 PoE optimizes the installation and power management of wireless access point, VoIP phones and IP surveillance camera. PoE (IEEE 802.3af) reduces time and cost in installation for many new-type IP devices. Using one standard CAT5 cable can free your wireless AP and IP camera from power line. If you use UPS to supply power for your switch, your all PoE devices will obtain continuous power supply.